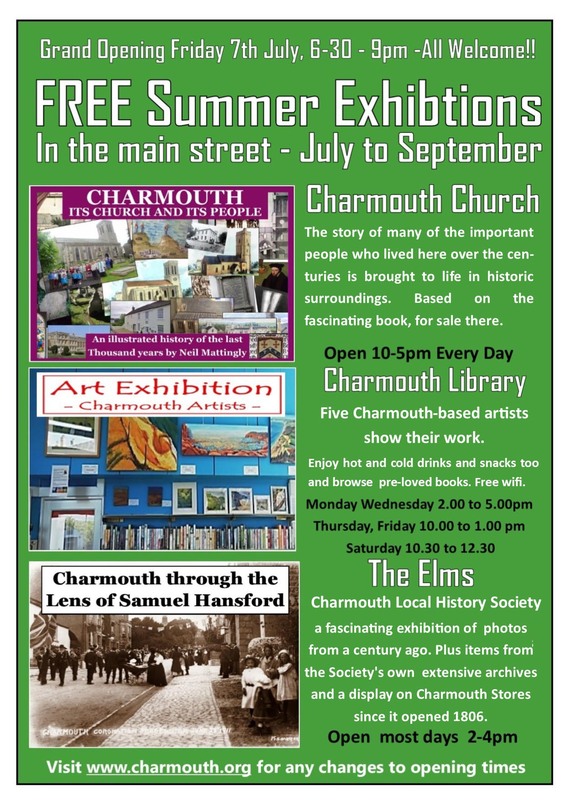 Back issues 1 to 41 of The Village Echo are now available to read online. These are the full pdf files and are fully searchable; you can search either in the titles of the articles or in the full text (e.g. you can search for occurrences of a place, house or personal name and find which issues contain that text). 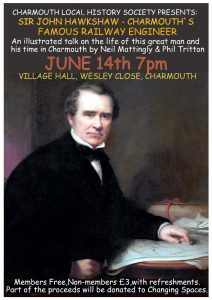 There is a huge amount of information about the village and its history in these back issues and we thought it important to make this more readily available. Issues 42 and 43 are currently available only in paper form (please contact us if you would like to purchase at £2 each plus postage). These issues may be uploaded in due course. This entry was posted in Uncategorized on February 7, 2017 by Amanda Jones. 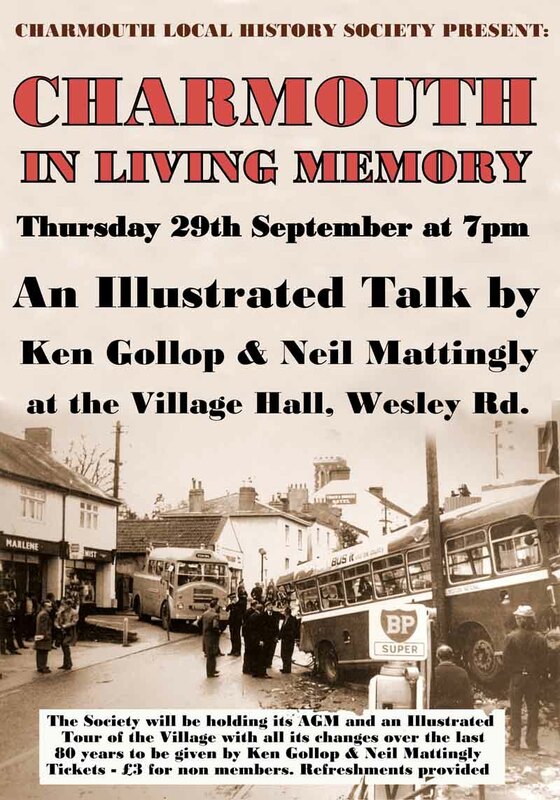 Our autumn talk “Charmouth in Living Memory” by Ken Gollop & Neil Mattingly, an illustrated tour of the village over the last 80 years, will be held on Thursday 29th September at 7pm in the Village Hall, Wesley Close. Free for members (£3 each for non-members). Refreshments provided. 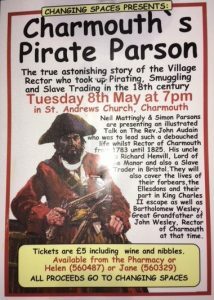 We will be holding our AGM after the mid-talk break. This entry was posted in Uncategorized on September 13, 2016 by Amanda Jones. 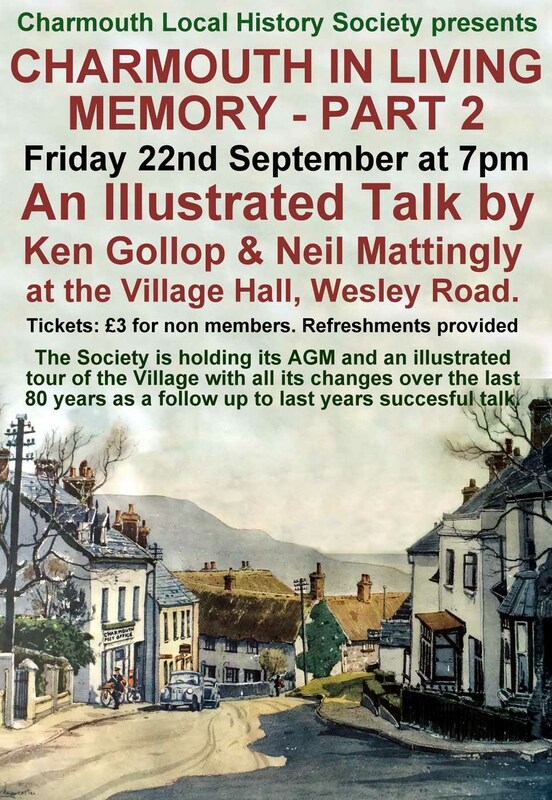 Advanced notice that these will take place on Thursday 29 September in the Village Hall starting at 7.00pm. 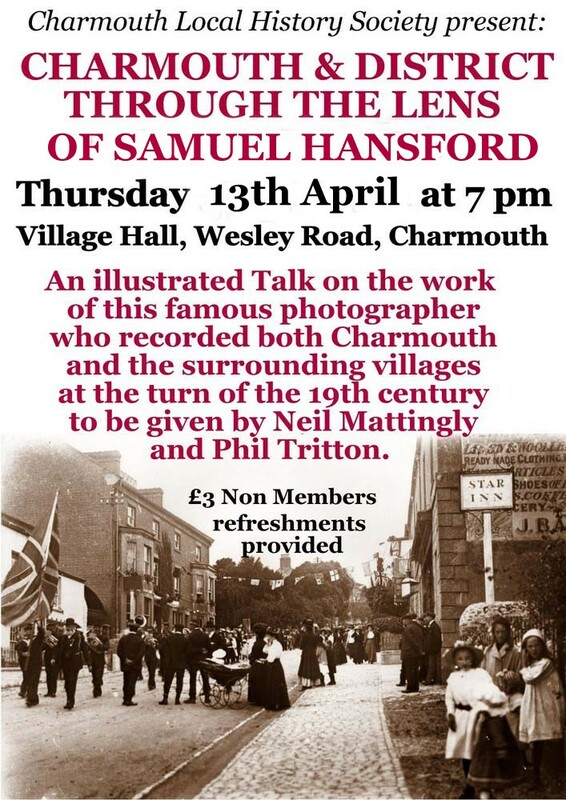 The talk will be by Neil Mattingly and Ken Gollop, titled “Charmouth in Living Memory”, and the AGM. which we hope will be very brief, will take place after the mid-talk break. More details of the AGM will be sent to members in due course and more details of the talk will be posted here when they are available. 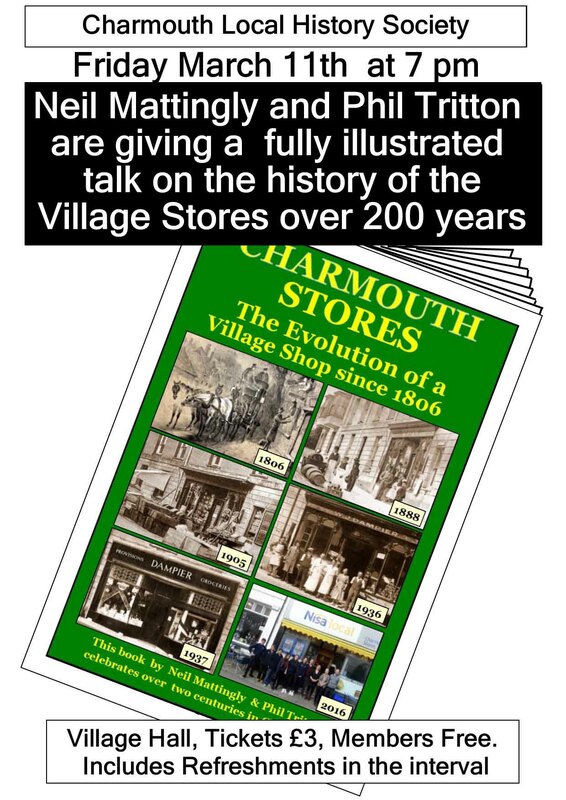 A professionally produced DVD of our spring talk by Neil Mattingly and Phil Tritton “Charmouth Stores (Nisa) – The evolution of a village shop since 1806” is now available from the Stores priced £3.99, or £6 for the booklet and DVD . Please contact us if you would like to purchase by post. This entry was posted in Uncategorized on July 8, 2016 by Amanda Jones. 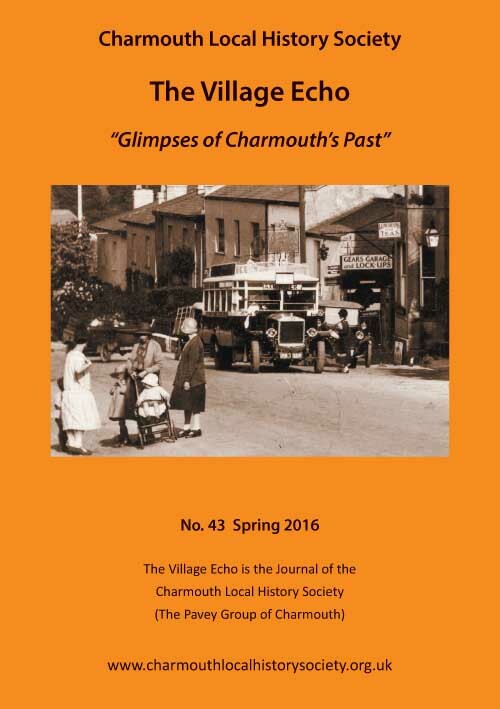 The latest issue of the Village Echo, number 43, a bumper issue of 56 pages, is now out and available at outlets in the village priced £2. If you would like to purchase a copy by post please contact us. This entry was posted in Uncategorized on April 4, 2016 by Amanda Jones. 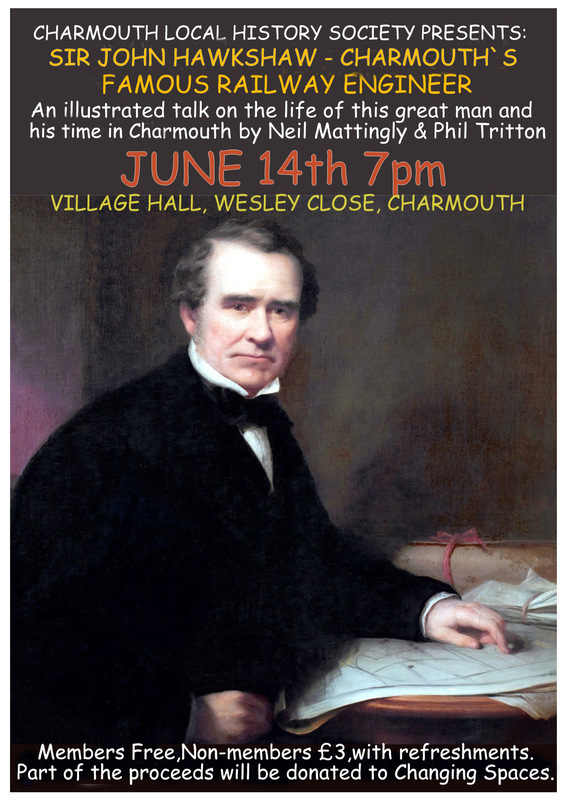 “Charmouth Stores (Nisa) – The evolution of a village shop since 1806”. This entry was posted in Uncategorized on January 31, 2016 by Amanda Jones.